Iceland is far towards the polar north of the globe, and the flight tickets aren’t cheap to its capital, Reykjavik. But then there’s another land of ice, and that is Rafiq Ali’s Barf Depot. It’s a roadside stall in Gurgaon’s Sector 14. 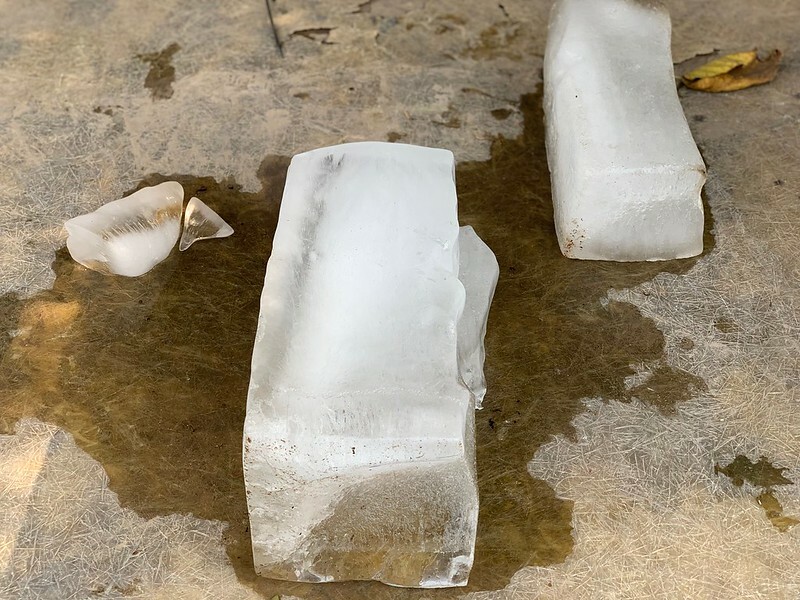 Here you find ice for sale. “One silli for 400 rupees,” says stall owner Muhammed Sameer. The young man explains that a single silli, or a slab of ice, weighs about 40 kg. The ice establishment is older than most high-rises in this Futuristic City. It was set up by Mr Sameer’s parents some 40 years ago. This cold afternoon the counter is looking bare with just a small block of ice. What happened? Did the ice melt away? Mr Sameer chuckles. Shaking his head, he says, “Most of it is already sold.” Pointing to another similar stall across the street, he says it belongs to his uncle who has briefly gone out for some work. That rival stall clearly hasn’t done good business today— it’s full of ice slabs. The relationship status of these two stalls, the boy tactfully hints, has an “India-Pakistan” dynamic. 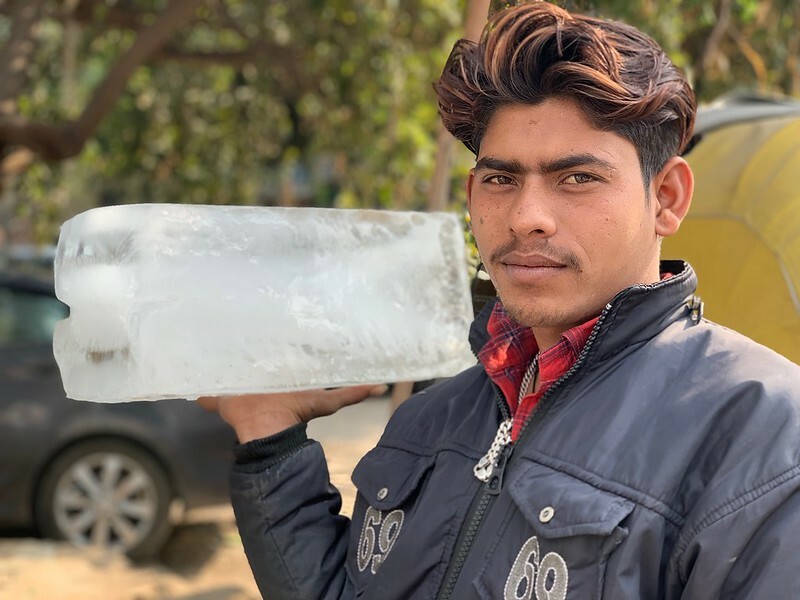 The city doesn’t have any other such ice shops, he further adds, a claim that was confirmed by a couple of shopkeepers in nearby Sadar Bazar. 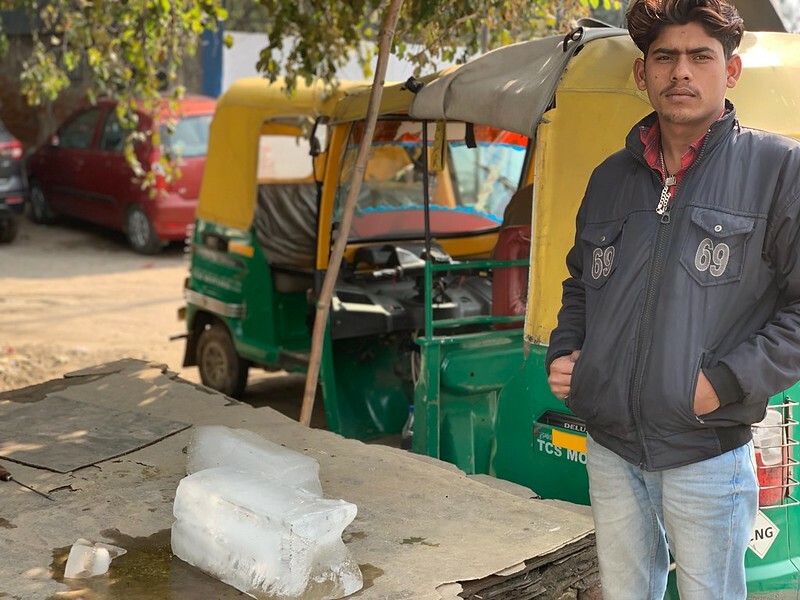 You ought to stop by this stall because… well, just where else can you see ice being sold on the roadside as casually as aloopyaaz. The Barf Depot opens daily from 6 am to 10 pm in winter, and 6 am to midnight in summer.